French electronic legend Laurent Garnier, US tech-house sensation The Black Madonna and Japanese jazz-infused post-rockers Mouse on the Keys lead the pack with critically acclaimed acts like French electro trailblazerJacques, Canadian electronic Hip-hop trio Keys N Krates, and Berlin bass commandos Symbiz also billed. See the full line-up below. 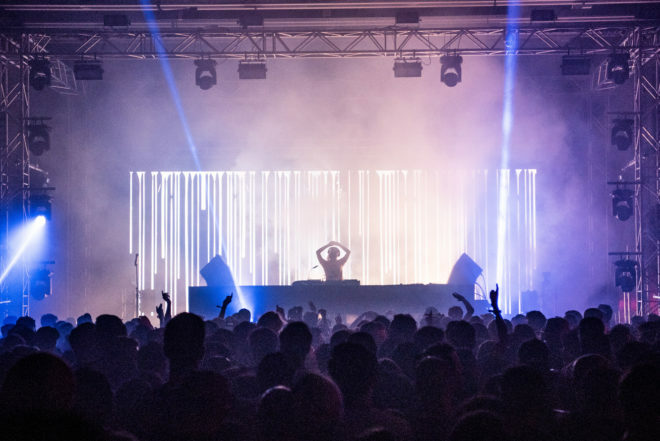 The festival, known for its cutting-edge lineups, unique visuals and innovative hi- tech creative attractions, has further line-up announcements to come not just in the music department but also in creative technology under the Sónar+D programme. In addition, this year marks Sónar’s 25th anniversary and the festival is celebrating the occasion in typically innovative style by sending a musical message into outer space in search of extra-terrestrial intelligence with 33 artists chosen to send their music towards GJ273b, a potentially habitable exoplanet 12.4 light years from Earth. Musicians selected include The Black Madonna from the Sónar Hong Kong 2018 lineup and Kode 9 and Daito Manabe from Sónar Hong Kong 2017. This ground-breaking artistic and scientific experiment is open to the audience and anyone wishing to enter can submit an original composition in any genre or musical style here before March 1st, 2018. 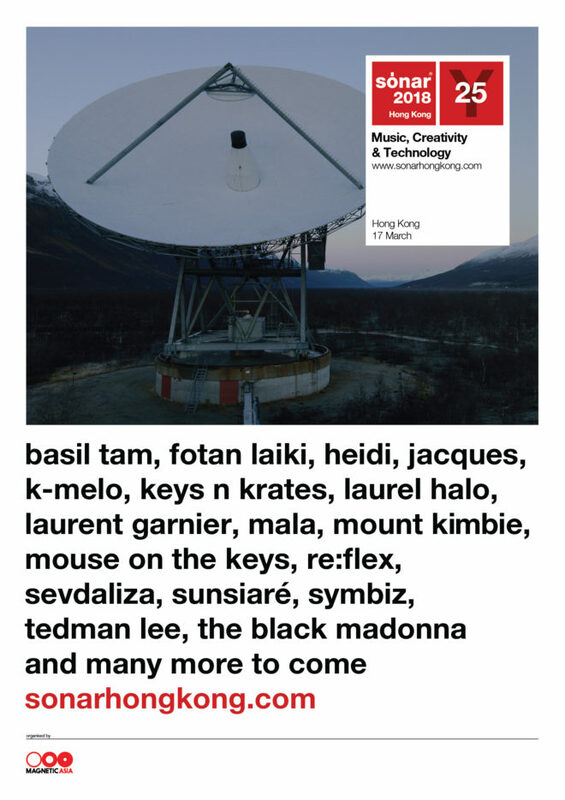 Sónar will take place at the Hong Kong Science Park on Saturday March 17th with tickets starting at 880HKD. Purchase them here.